Dental implants can be placed as a permanent replacement for missing teeth providing a more permanent solution than dentures. Dental Implantology is a branch of dentistry which involves the reconstruction of missing teeth with synthetic substitutes. Who can benefit from Implantology? Modern dentistry now offers hope for people who have missing or damaged teeth. If you are missing your natural teeth in one or both jaws and cannot wear dentures for physical or psychological reasons, we can offer you an innovative dental implant system that will provide most people with new teeth that look, feel and function like the real thing. People who are missing teeth may benefit from techniques that allow artificial teeth to be secured firmly in the mouth. These techniques range from replacing one missing tooth to replacing most teeth in the upper and lower jaws. People with loose teeth can also benefit from the insertion of implants as the tooth can be anchored into place. Implants can also be used to support removable dentures. Dental Implants can offer a solution to people who have false teeth and want to avoid removable dentures. Many people have reported that dental implants have improved their appearance, have improved their chewing ability and are more comfortable. 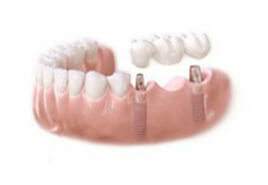 The basic structure consists of the implant fixture and the prosthesis. The implant is a metal fixture that can be inserted into the jaw bone to provide a base for supporting and attaching the prosthesis. The prosthesis is an artificial tooth or row of teeth, which is attached to the implant/s. 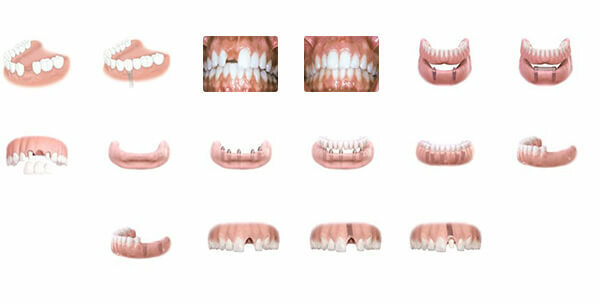 The prosthesis may be a “crown” to replace one missing tooth or a “bridge” to replace several missing teeth. Implants are compatible with, and can bond strongly to bone tissue. Once teeth have already been removed, parts of the jaw bone that originally house the teeth have began to shrink. As the jawbone becomes smaller, there is less bone to comfortably anchor a denture. Once the implant is placed into the jawbone, shrinking stops and the bone stabilizes within the first year. The bone tissue grows onto the surface of the implant and when fixed firmly within the jaw bone, the implant will be strong enough to bear the daily forces of chewing and normal function. The implant procedure requires visits to our Consulting Rooms to plan healing and finally to attach the prosthetic tooth/teeth. Implants are made of different materials such as metal titanium, and implanted in different ways. Each has its own advantages and disadvantages. You and your surgeon can discuss which implant system is likely to be best for you. Our surgeons use three brands of implants. These include Astra created by Astra Zeneca Group, the Branemark System created by Nobel Biocare and the Endopore Implant System created by Innova Technologies Corporation. We have chosen these specific brands of implants because of the many years of research behind the implants, the high quality and the success rate of patients who have received Branemark, Endopore and Astra implant systems. Patients need to be in good overall health, have healthy gums and sufficient bone to help support an implant. 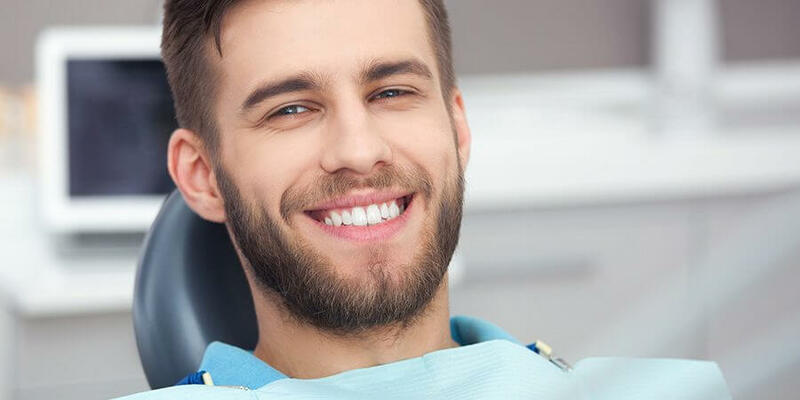 Regular dental visits and scrupulous oral hygiene are requisites for success. Dental Implants aren’t necessarily for everyone, your Surgeon will assess your suitability for this type of treatment.